27th February 2019 will be a red-letter day for Bangaloreans who struggle to navigate city traffic in a fast, efficient, affordable and environmentally-friendly manner. It is no secret that first mile and last mile connectivity continues to be a problem and that the number of personal vehicles on the roads are increasing every day, leading to clogged roads and rising air pollution. But what if there was a way to cover short distances using an entirely green mode of transportation? Now there is. PBS provides sustainable mode of meeting first and last mile mobility needs of commuters complementing metro public transport system, and can be a game changer in reclaiming road infrastructure as public good. The game-changing, micro-mobility solution that Bangaloreans have been waiting for is finally here, and ready to launch, on Wednesday, 27th February. Sounds like a miracle? Well, it is. Yulu, is introducing Yulu Miracle – a Electric Scooter, purpose-built for Shared and Sustainable Mobility for Urban India. A dock-less, Lithium battery-powered low speed, silent and light two wheeler that will help commuters ride through traffic congestion with zero pollution and at low cost. 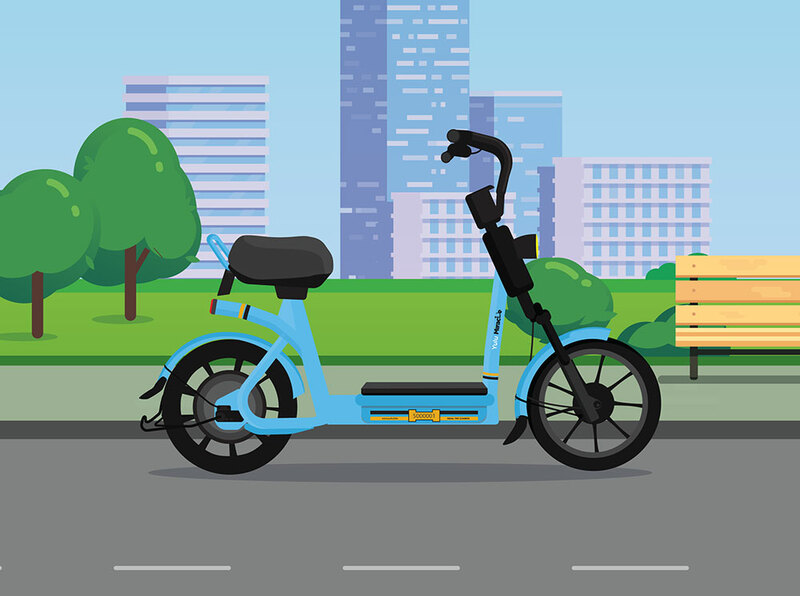 Yulu Miracle is an entirely new form of transportation launched by Yulu, a company with a vision to transform the landscape of Urban Mobility in India, by providing a scalable, affordable, clean-energy solution for our cities which have limited mobility options. 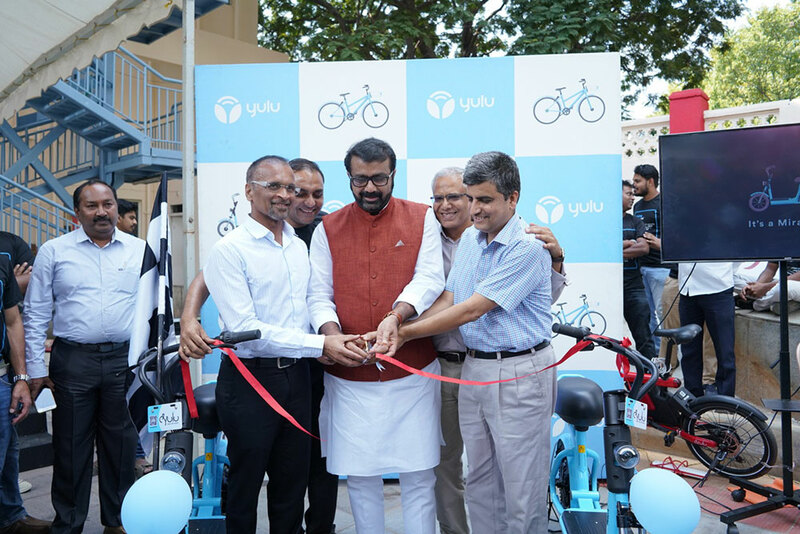 Yulu has been providing smart bicycles on sharing basis to their customers in many cities, with a focus on high-density areas – outside Metro stations, Sub-urban Railway stations, large tech office campuses, apartment complexes, shopping malls, bus stops, colleges and more. Now, Yulu Miracle joins Yulu’s IoT-powered fleet. Like their other vehicles, Yulu Miracle too provides keyless use, customers can unlock this vehicle just by scanning a QR code. What’s more, their entirely shared network of vehicles are connected by IoT, that allows customers to pick and return these vehicles using a user-friendly mobile app and pay for their rides through digital wallets. Yulu Miracle replaces big, fuel-guzzling, personal vehicles. It has been purpose built for India with a smaller footprint and runs on Lithium Ion batteries. No more fossil fuel guzzlers! Everytime you rent a Yulu Miracle to cover a short distance, you are reducing our dependence on fossil fuels. Introducing Yulu Miracle as a mode for personal transport furthers our ambitious mission to solve the massive problem of traffic congestion while reducing pollution and positively influencing the health of the planet. We take pride in making a real difference to the lives of the everyday Indians and are working towards a cleaner, greener India for future generations.” The next time you have to run errands, head to the gym, or need a ride to the metro, ditch your car or bike in favour of the Yulu Miracle. Choose a more efficient, affordable* and green option ane ensure that future generations will have a healthy environment to live in. Yulu will be deploying 250 of these electric scooters in the first week of the launch in Indira Nagar and CBD area. After that it will be adding 250 – 500 additional vehicles every week thereafter over a period of 8 – 10 weeks covering all the 6 operational clusters. Yulu currently has over 850 Yulu Zones spread across Outer Ring Road, Whitefield, HSR, Koramangala, Indira Nagar, CBD and Electronic city. These electric vehicles will be available to be picked and dropped from these network of Yulu Zones. *Pricing – Rs 10 to start and Rs 10 per 10 minutes of ride time. Note – Yulu Miracle has a maximum speed of 25 kmph and due to this limit, wearing helmet while riding Miracle is optional. However keeping users safety in mind, Yulu advises its users to always ride with their own helmet.